Students can vote at the Tate Student Center this week ahead of Election Day, Nov. 6. 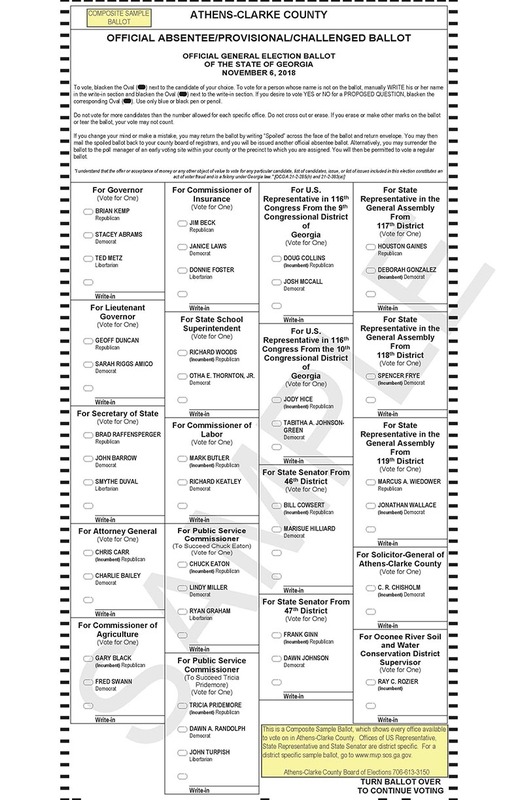 Students who are registered in Athens Clarke-County can vote at the University of Georgia location on October 30 and 31. 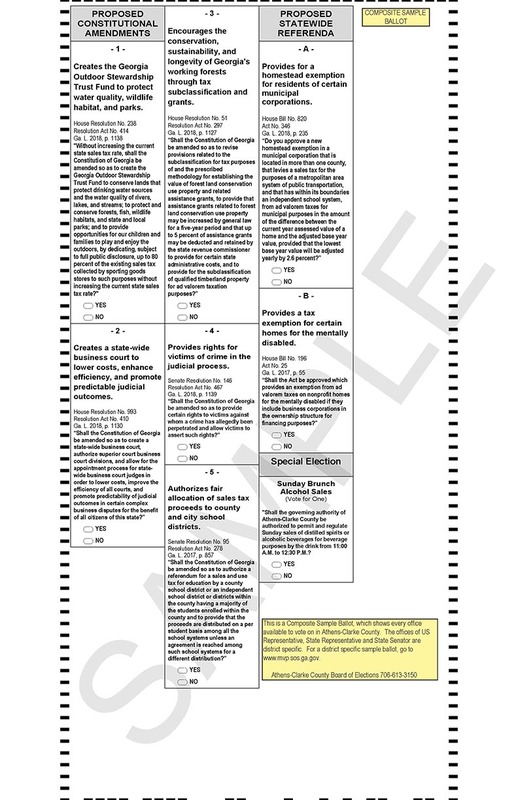 Voting will be open from 8 a.m to 5 p.m.
See an Athens Clarke County Sample Ballot here. 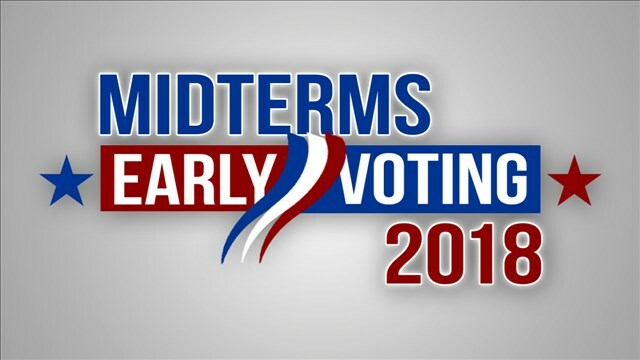 Other early voting locations include the ACC Board of Elections, the Athens Regional Library and Athens City Hall. A complete list of locations and times can be found here.